This article is based on output from a project funded by the United Kingdom's Department for International Development (DFID) for the benefit of developing countries. The views expressed are not necessarily those of DFID. Les agents vétérinaires communautaires sont de plus en plus appréciés pour dispenser des soins vétérinaires. Cette étude examine le rôle qu'ils jouent dans les systèmes de la petite agriculture mixte, et tire les enseignements pour la planification et les méthodologies opérationnelles. L'article conclut que l'analyse des effets des programmes d'agents vétérinaires communautaires est limitée par la disponibilité de données quantitatives et qualitatives. La valeur potentielle et la durabilité des programmes d'agents vétérinaires communautaires sont limitées par l'insuffisance de l'intégration de la prestation de soins vétérinaires dans les systèmes nationaux. L'article préconise une amélioration des méthodes de définition et d'établissement de cadres institutionnels pour les programmes d'agents vétérinaires communautaires, pour leur formation et la fourniture de l'appui dont ils ont besoin pour les méthodes de suivi et d'évaluation et les structures financières. Los trabajadores comunitarios para el ganado son un medio cada vez más popular de prestar asistencia sanitaria a los animales. Se examina su función en los sistemas agropecuarios mixtos de pequeños propietarios y se extraen enseñanzas sobre planificación y metodologías operacionales. El artículo llega a la conclusión de que el análisis de los efectos de los programas de estos trabajadores se ve obstaculizado por la disponibilidad de datos, tanto cuantitativos como cualitativos. El valor potencial y la sostenibilidad de dichos programas están limitados por una integración inadecuada en los sistemas nacionales de prestación de asistencia sanitaria a los animales. Se defiende la utilización de métodos mejorados en orden a definir y establecer marcos institucionales para la capacitación y las necesidades de apoyo, las técnicas de supervisión y evaluación y las estructuras financieras. Livestock service provision in many developing countries is undergoing restructuring as part of an international programme of economic adjustment. One widely publicized initiative to refocus livestock services has been the introduction of community-based animal health care services. This initiative involves training farmers and community representatives in basic animal health and production techniques. A primary objective is to supplement and support the existing but over-stretched professional system for delivering services to more isolated communities. Discussion of community-based animal health is complicated by the interchangeable use of terms for non-professional animal health workers. These terms include non-professional veterinarians, veterinary auxiliaries, paravets, community animal health/livestock workers, primary animal health care workers and barefoot vets. Each title has a specific meaning in the context within which it is used, according to training levels and legal status. payment comes directly from clients for the services provided. Selection of CLWs from and by their own communities is essential to the role they play. It ensures firsthand knowledge of the local livestock production system, in terms of both animal health and the socio-economic environment in which livestock are raised. It also facilitates a natural relationship between workers and their clients. Different roles are played in animal health care by those with minimal training and those with professional training. CLWs have no professional veterinary training and should not represent an alternative to the technical services provided by public or private veterinarians. For this reason the terms paravet, auxiliary and technician are not used, since all imply a degree of professional training. CLWs' training focuses on primary health care but the services they supply may not be exclusively health- related. McCorkle and Mathias (1995) note a range of training including husbandry, stock registers, food hygiene, marketing and business management. Remuneration for CLWs is linked directly to activities through payment-for-services. This contrasts with government veterinarians and assistants receiving salaried income. A key characteristic of community-based animal health care is that the farming community meets the cost of services, normally through commission on drug sales and fees for services. A growing volume of reviews and project documentation relates to CLWs operating in mixed farming systems. Initial experiences, however, have come from pastoral systems characterized by inaccessibility and isolation from central and local government infrastructures. 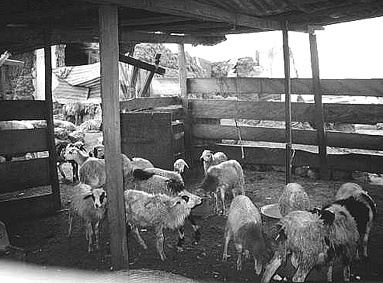 Among the advantages held by CLWs in such communities are their specialist knowledge of pastoral systems and producers, lower income aspirations in line with the less commercial system and the fact that the majority of animal health needs in pastoral systems can be supplied by non-professionals (De Haan and Bekure, 1991). De Haan and Bekure (1991) review programmes in Chad, Somalia, Central African Republic and the Niger; they conclude that CLWs offer a viable alternative to poorly functioning public and private veterinary services. Sidahmed (1997) highlights poor CLW results because of lack of cohesion and clear goals among herder communities in Cameroon. Problems tend to be associated with project implementation rather than the concept or objectives of community-based service provision. effective veterinary services can ever be provided for smallholders, who lack the economies of scale of large commercial units and pastoralists (Claxton, 1997; Hugh-Jones, 1997; Leonard, 1997). A survey of 250 sedentary backyard poultry producers in Zimbabwe found that 78 percent received no veterinary or extension services; all indicated a desire for such services (Oakeley, 1998b). A further issue is the suggestion that inherent livestock skills and experience in pastoral communities are neither as evident nor as widespread within mixed, smallholder communities (De Haan and Bekure, 1991). This would imply limits to the potential for selecting successful CLWs from such communities. The issue of skills is not a reflection of insufficient demand for CLWs, however, but an indication of different training and support needs for CLWs operating in smallholder communities. Indeed, lack of traditional husbandry skills in such systems implies an even greater need for services and advice which CLWs might offer. There may be significant difference in the scope and detail of training required by CLWs, according to the livestock systems they work in. Training should also account for the wider agricultural system and be sensitive to household priorities and resource constraints, both on and off the farm, including the social role played by livestock in many communities (Hugh-Jones, 1997). Because they come from the communities in which they work, CLWs have advantages in understanding local problems and priorities in animal health care and can tailor service and advice to suit these requirements. CLWs offer the opportunity to improve links between producers and the animal health care system as a whole - private, public, professional and non-professional alike. Some authors also point to CLW programmes as offering a starting point for the mobilization of rural communities and provision of other community services (Leyland, 1998; Catley, Delaney and McCauley, 1998). There is evidence that highly focused activities help in establishing CLW programmes in the same way as private veterinarians benefit from the guarantee of government contract work when establishing their practices. Pastoral programmes, such as those in southern Sudan and Chad, centre on vaccination campaigns such as the Pan-African Rinderpest Campaign. While a narrow field of activity may not adequately sustain CLWs in the longer term, it may provide them with time to develop their activities, for the local community to become aware of their role and for suitable systems of operation and payment to develop (Young, 1988). A key issue is the time CLWs should commit, or be expected to commit, to their CLW activities, recognizing that most CLWs are farmers themselves (Blakeway, 1993). Trainees should not expect full employment from CLW activities, although the precise level of activity regarded as adequate is not discussed in the literature. This holds important implications for measuring and defining success among CLWs, and requires clarification before programme impact can be effectively assessed. CLWs in Ghana spend one or more days a week on their CLW activities but the exact time depends upon the wider responsibilities of the individual (Oakeley, 1998a. The literature highlights the need for a clear legal framework setting out the relationship between CLWs, veterinarians and national animal health policies. The absence of defined roles for CLWs is a key factor in the reservation about CLWs held by professional veterinarians in many countries. The existence or otherwise of genuine competition is of less significance than the degree to which stakeholders, particularly professional veterinarians, perceive there to be a threat to their employment. These perceptions, compounded by the lack of evidence that CLW programmes are effective, lead to active resistance to CLW programmes. The viability and effectiveness of CLWs is dependent upon communication, support and cooperation with the professional veterinary system (De Haan and Bekure, 1991). If CLWs are to extend the reach of livestock services, they need to be an integral part of those services, transferring information and skills between farmers and veterinary staff. Poor cooperation with traditional veterinary service providers has commonly left CLW programmes reliant upon the non-governmental project infrastructures that initiate them (Sikana et al., 1992). Most programmes include referral procedures for more complex cases and notifiable diseases, but reporting is often patchy and ineffective (Young, 1988). Closer links between CLWs and veterinary staff can be established, where CLWs become involved in organizing vaccination and other campaigns, although this should not take precedence over the wider needs of producers (Daniels et al., 1993). Ultimately, the role of CLWs must be recognized in law and incorporated into the regulations governing animal health services. CLWs in Ghana carry an annually renewable licence; this kind of system may offer the potential for clarifying CLW roles for all stakeholders, from professional veterinarians to farmers. The legal status of CLWs is particularly important with regard to the sale and use of veterinary drugs. Drug sales to producers are an important source of income and restrictive drug controls constrain the role that CLWs are able to play (De Haan and Bekure, 1991). If producers must go to veterinary clinics for medicines, they are unlikely to see advantage in the advice of CLWs who cannot provide the drugs they prescribe. The argument against liberalizing drug regulations is that it will risk the misuse of those drugs by poorly trained operators and farmers. This risk must be minimized by careful training and supervision of CLWs. More significantly, unofficial markets for livestock pharmaceuticals operate in most countries, enabling producers themselves to buy and administer drugs unsupervised. The potential misuse of veterinary drugs obtained through unofficial channels could be minimized through the activities and accessibility of adequately trained CLWs. While the literature discusses how to engender community participation, it offers less insight into facilitating institutional participation. It is apparent that key stakeholders such as field veterinary staff are not adequately involved in the planning and operation of some CLW projects (Sikana et al., 1992). Many programmes are set up by non-governmental organizations (NGOs) that fund and support the difficult early stages. Consequently, government services are not involved and feel no control or ownership when attempts are made to institutionalize the CLW infrastructure. 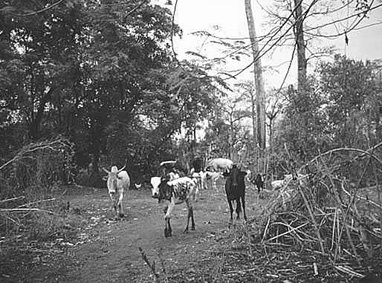 The wasaidizi programme in Kenya was criticized for disseminating information internationally, yet failing to develop solid links with the Kenyan Veterinary Department (Sikana et al., 1992). The dependence of this and other programmes on external support leads to serious questioning of their long-term sustainability. Procedures for choosing CLWs vary, but there is agreement on the need for community choice and control over candidate selection. The degree of democracy in the process varies according to the cultural and social context. Local socio-political divisions exist in many rural communities, and village hierarchies are not easily by-passed (Blakeway, 1993). This has been associated with targeting problems and bias in activities and constitutes a challenge to the selection process. A precise definition of the term "community" and thus the exact composition of the selecting body is not always clear. For CLW selection, "community" implies all livestock producers within a given area. However, the diversity of livestock systems, species and scale, as well as social, cultural and ethnic divisions found in many rural communities cannot guarantee consensus within such a group. In Ghana, there is invariably a role for those recognized as community authorities, such as tribal elders or village headmen; the degree to which these community authority figures are involved is both sensitive and critical to the acceptance and sustainability of CLW activities. Many programmes offer basic guidelines for selection of appropriate candidates. Personal characteristics of candidates are the hardest to define and measure but are critical, since sustained support and respect within a community depend on them. In practice, there is unlikely to be a formula for this aspect of selection, but further examination of the link between personal characteristics and CLW success may be warranted. Among other criteria, literacy is seen as a prerequisite for learning, recording and drug handling activities by some (Bowen and Andriessen, 1998). There is evidence, however, that illiterate trainees can be trained equally effectively (Leyland, 1998). Nor is there complete agreement as to whether a higher level of education carries the risk of higher income and career expectations among trainees, making them more prone to leaving the area. Experience of stock raising is an obvious criterion and may go together with livestock ownership; there is, however, no evidence that limited experience with livestock would preclude an individual from becoming a successful CLW. Differences remain regarding the appropriate age of trainees, although health and fitness requirements may exclude some older candidates. Older CLWs may enjoy greater respect in the community and be less likely to move away, but there is no evidence that younger candidates cannot perform equally well. Gender remains a sensitive issue, since it is apparent that communities tend to have a male bias in the selection of trainees. There is little discussion of why this should be, although many programmes actively discuss the important role of women in raising livestock and thus their potential as CLW candidates. However, as with other criteria, there has been little analysis of the relationship between gender and the success and sustainability of trainees. There is a need for further analysis of the correlation between trainee characteristics and their success. training is commonly between one and two weeks, although the extent of refresher training varies considerably. A commonality of basic animal health and husbandry problems facing communities in many countries is reflected in similarities in the syllabus used by different programmes. Training includes the identification, diagnosis and treatment of all common livestock diseases and ailments, the handling and use of veterinary medicines and the expected role of CLWs in relation to veterinary authorities. Some authors stress the need to include broader training in animal husbandry and production techniques, extension skills and even food hygiene and safety as well as marketing and business management skills (McCorkle and Mathias, 1995). Training and supervision activities also offer the opportunity for the active involvement of local private and government veterinarians. To ensure its relevance, the training package should be developed through close consultation with the farming community; it invariably benefits from participatory needs assessment techniques. The needs of the community may become more complicated the more species of animal are raised, although the implications of this are not examined in the literature. It may also be preferential to conduct training in villages rather than training centres, although there are successful examples of both approaches. Emphasis is given to appropriate training specific to the prevalent animal species and health problems in the area, using local terminology and attempting to meet the everyday needs of producers. This necessitates back-ground study of the production system, as well as ethno-veterinary knowledge of the community and the needs of producers. A number of programmes incorporate traditional ethno-veterinary skills in the training to harness local knowledge and reduce dependence on expensive and less accessible western drugs (Blakeway, 1993; Leyland, 1998). The technical relevance of many traditional techniques remains unknown and should be investigated before they are included in training programmes. While western technologies should not be advanced to the exclusion of local ones, they may be less readily available to many communities and can therefore be expected to be in greater demand in CLW programmes. All programmes emphasize the importance of refresher training and field visits, but the frequency and format of this support varies. Follow-up support is hard to maintain, in terms of both finance and the motivation of CLWs (McCorkle, 1997). While the CLW activities should remain community-funded, there are no examples of communities funding the training programmes or expenses of veterinary supervisors. Many continue to rely on external support. In the longer term, structural costs must be the responsibility of the government system; there is no apparent model for sustainable financing mechanisms for CLW training programmes. There is widespread agreement that "Reliable data on the quality of the service provided by non-professional agents are scarce" (De Haan and Bekure, 1991). Few quantitative data are available on issues of "service efficiency, outreach and production or producer benefits" (McCorkle, 1997). Practical and effective qualitative and quantitative techniques for monitoring and evaluating CLW programmes are needed to facilitate comparison of experiences and lessons from the many programmes in operation (McCorkle and Mathias, 1995). The high level of resources required to collect sub-stantive quantitative animal health data has favoured the use of qualitative approaches and reliance on qualitative data. 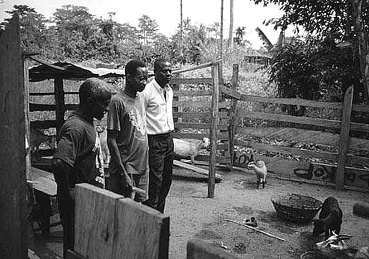 The link between qualitative data collection techniques and community animal health care programmes is an important one. 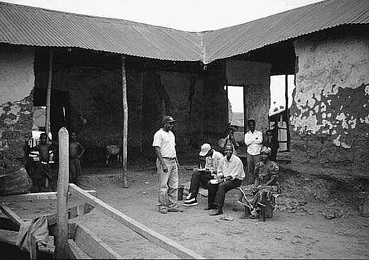 The application of informal and participatory appraisal techniques has played an important role in identifying the needs of livestock owners and has highlighted the potential role of CLWs in many communities. However, both qualitative and quantitative analyses are required before objective conclusions can be drawn as to the value and effectiveness of CLW programmes. Monitoring and evaluation activities in most CLW programmes prioritize monitoring before evaluation. Monitoring covers the use of project resources, the numbers and content of training programmes and subsequent recording of the basic CLW activities and clientele. Monitoring activities over time, however, is problematic. Catley, Delaney and McCauley (1998) cite poor infrastructure and accessibility as the main constraint in monitoring programmes in pastoral areas and zones of civil unrest, although this need not be the case for programmes in sedentary and stable environments. Record keeping by CLWs is the primary tool used, but such records are rarely complete or accurate. Other data sources include records of supervisors, pharmacies and drug distributors and qualitative information from clients and other stakeholders. While the information is useful, some programmes lack mechanisms for feeding it into the management and decision-making process. Impact data are scarce owing to the paucity of baseline data available on the animal health situation prior to the introduction of CLWs and the logistical difficulty and expense of collecting productivity data to measure impact. Evaluations focus on subjective data from client interviews which, although valuable, remain difficult to substantiate. A cost-benefit analysis of a CLW programme in Afghanistan by Schreuder et al. (1996) estimates benefit-to-cost ratios of between 2:1 and 5:1 but offers little explanation of the methodology used. The analysis assumes all recorded change to be attributable to the programme, an assumption that may not be valid elsewhere. Further research is needed to identify a more comprehensive set of indicators of programme impact and to establish standard methodologies with which to assess them. Key concerns for most programmes are financial viability and long-term cost-effectiveness of CLW activities. Subsidizing the establishment of a programme is inevitable; in the longer term CLWs must charge fees for services and commission on the sale of drugs to generate profit with which to restock drugs and materials. A key characteristic of CLW programmes is that they do not include salaried remuneration for trainees but most supply the first equipment kit free. It is important that CLWs have access to a reliable drug supply; some programmes encourage establishment of private pharmacies to facilitate this. There is debate over the level of profit that is reasonable for CLWs and offers acceptable prices to producers. Further complications arise where drugs and vaccines are periodically made available at subsidized rates from the formal veterinary services, thereby undermining the competitiveness of the CLWs. Some authors suggest that finance and payment arrangements are best determined and controlled by the community as a whole (Leyland, 1998). 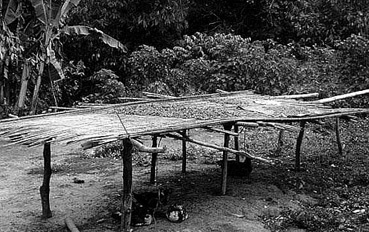 Community groups have scale economies in purchasing drugs and materials and are potentially more sustainable than external funding sources (De Haan and Bekure, 1991). However, community consensus over financial issues is difficult to obtain, and individual CLWs may be better placed to develop their own payment structures (McCorkle, 1997). 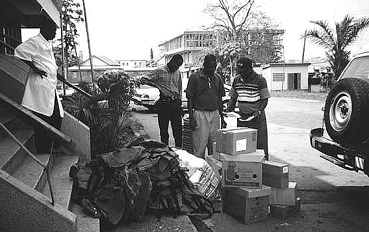 There are many examples of poor administration and outright corruption where community groups have been placed in charge of administering finances or medicine supplies, commonly through revolving funds (McCorkle and Mathias, 1995). Ultimately, livestock producers are the best regulators of the pricing system, since in most cases they are prepared to pay the prices charged while the service is effective and will presumably stop paying if the service deteriorates. Financial commitment to training and supervision is a prerequisite for sustaining CLW programmes. It remains a contentious issue, however, since such programmes are invariably set up to relieve the financial commitments of veterinary services. Continued support is also vital in sustaining the motivation of CLWs. There is evidence that the level of activity is hard to maintain, even when refresher training and follow-up support are in place. Young (1988) identifies problems in sustaining the enthusiasm and reliability of CLWs and suggests that selection is a key problem. Many authors suggest that allegiance to the community together with a modest income is motivation enough, since respect and standing within communities is a primary goal for CLWs. However, most programmes concede that financial remuneration is important for many CLWs (Grandin, Thampy and Young, 1991). Clearly, there is need for better understanding of the motivation of CLWs if that motivation is to be maintained. Several questions concerning the role and effectiveness of CLW programmes remain unanswered. The article has identified the need for a framework of operational methodologies flexible enough to be relevant in different contexts and to offer a guide for the decentralized management system characteristic of most CLW programmes. At the policy level, there is strong argument for the liberalization and clarification of service regulations and veterinary drug controls if CLWs are to play an effective role in service delivery. At the project level, however, there remains evidence that key stakeholders, including veterinary professionals, are excluded from the project planning process, limiting the integration of services and the sustainability of the CLW concept. The procedures and criteria for selecting trainees are crucial to their success and sustainability, yet there is only partial understanding of the interaction between selection and success. Until a clear definition of success is established, the role of selection and the criteria employed cannot be adequately assessed. As a starting point, CLW success must incorporate the level of activity, technical competence, role and coverage within the community, motivation and sustainability. There is a direct link between the scarcity of reliable data on the impact, efficiency and quality of CLWs and the monitoring and evaluation systems built into many programmes. While the inherent difficulties of generating meaningful quantitative and qualitative data must be acknowledged, inadequate attention and resources appear to be allocated to generating information. There is need for investigation of new and innovative means, either for generating more quantitative impact data or for establishing improved methodologies for evaluating the qualitative data currently available. Training procedures, syllabus development and support systems for CLW programmes are similar. One issue not fully explored is the diversity of producers' needs, particularly in mixed farming systems, and the implications for training course content. If there is a need for professional veterinarians to broaden their understanding of animal production and husbandry issues, then we can expect the same of CLWs if their role is to be sustained. The sustainability of many CLW programmes remains in question. There is little discussion of the structures needed to sustain - either financially or physically- the support and training needs of CLWs over time. While progress is being made on the day-to-day financing and cost recovery issues governing CLW activities, many programmes remain dependent on external funding for more structural expenses. There is scope to develop a more comprehensive model for CLW programmes, to address key questions of sustainability - including which institutions should provide follow-up support, training and supervision - and the identification of sustainable funding for those activities. Blakeway, S. 1993. Animal health: community problem, community care. Appropriate Technology, 19(4). Bowen, R. & Andriessen, M. 1998. Improving animal health through paravets. Footsteps, Animal Health, 34, March 1998. Catley, A., Delaney, P. & McCauley, H. 1998. Community-based animal health services in the greater Horn of Africa: an assessment. Washington, DC, USAID/USDA. Claxton, J. 1997. FAO electronic conference (January-March 1997): Principles for rational delivery of public and private veterinary services. Rome, FAO. Daniels, P., Holden, S., Lewin, S. & Sri Dadi. 1993. Livestock services for smallholders: a critical evaluation of the delivery of animal health and production services to the small-scale farmer in the developing world. In proceedings of an international seminar, 15-21 November 1992. Yogyakarta, Indonesia. De Haan, C. & Bekure, S. 1991. Animal health services in sub-Saharan Africa. World Bank Technical Paper No. 134. Washington, DC, World Bank. Grandin, B., Thampy, R. & Young, J. 1991. Village animal health care: a community-based approach to livestock development in Kenya. London, Intermediate Technology Publications. McCorkle, M. & Mathias, E. 1995. Paraveterinary health care programs: a global overview. Paper presented at 8th International Conference of Institutions of Tropical Veterinary Medicine, 25-29 September 1995. Berlin. Oakeley, R. 1998a. Experiences with community-based livestock worker (CLW) programmes - methodologies and impact. Review. Reading, UK, University of Reading/DFID. Oakeley, R. 1998b. Socio-economic consultant report for FAO emergency assistance for the control of Newcastle disease. (TCP/ZIM/8821A). Rome, FAO. Schreuder, B., Moll, H., Noorman, N., Halimi, M., Kroese, A. & Wassink, G. 1996. A benefit-cost analysis of veterinary intervention in Afghanistan based on a livestock mortality model. Preventative Veterinary Medicine, 26(3/4). Sikana, P., Bazeley, P., Kariuki, D. & Fre, Z. 1992. The Kenya livestock and pastoral programme - some observations and recommendation. Nairobi, Intermediate Technology Development Group. Young, J. 1988. The KFFHC/EPAP/ITDG community animal first-aid worker programme; a compilation of project documents and summary of experiences. Nairobi, Intermediate Technology Development Group.